It’s a sad tale that we keep noticing here on this Los Angeles DUI blog — children and relatives of famous celebrities cause terrible harm to their reputation and future (and sometimes to other people) by making unwise choices regarding drinking and getting behind the wheel. To wit, consider the recent arrest of 61-year-old Jett Adkinson, daughter of the famous country singer, Hank William Sr. Police arrested Adkinson last Friday, after witnesses noticed that she had been driving on the wrong side of the road. Police stopped Adkinson at around 10.30 PM, after she allegedly forced a red truck to swerve to avoid her on Leeville Pike and Hartmann Drive. She later told authorities that she had consumed “some wine” before getting into her vehicle. She allegedly exhibited signs of DUI, including odor of alcohol on her breath, and she failed her field sobriety tests. Adkinson originally insisted that she had just been drinking diet coke and eating pizza. This is Adkinson’s second DUI of the year. 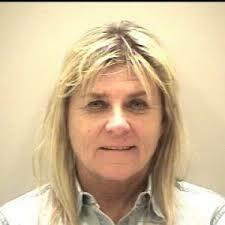 Police pulled the Nashville native over in February after witnesses saw her Jaguar weaving between lanes. Adkinson was born five days after her father died; she apparently had no idea about her legacy until the 1980s. While Adkinson had insurance on her, many people stopped for DUI don’t have insurance – and don’t have up-to-date licenses, either. If you are stopped and charged per CVC code 23152(a) or 23152(b), you are not mandated to tell your insurance company about the DUI right away. If your attorney can dismiss the charges, you may not have to tell the insurance company at all. However, IF the insurer does find out about the DUI, your rates could spike and cost you literally thousands of dollars over the next months/years. Your insurance company will examine your DMV record whenever assessing you for renewal. If a representative spots a DUI, your rates will probably go up. A carrier can also discover your DUI if/when you seek an SR-22 certificate, which is required by law to confirm that you meet the Golden State’s insurance requirements. You must request an SR-22, after your license suspension, if you want to drive again. At that point, the insurer will find out about the DUI, and your rates could go up. For help understanding what to do to fight back against your charges, contact a Los Angeles DUI defense lawyer with Kraut Law Group. Mr. Kraut is an experienced former prosecutor (Senior Deputy District Attorney) who has helped people just like you prevail with their cases.